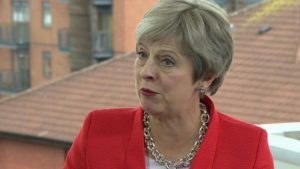 Probashbangla24 online Desk : Theresa May has rejected claims she does not believe in Brexit – and insisted she would make a success of it “regardless of the outcome” of talks. She told the BBC’s Andrew Marr show her plan for post-Brexit trade with the EU was not dead – despite it having been rejected by EU leaders. And she urged the Tory party – in Birmingham for their annual conference – to “come together” and back it. Boris Johnson has called her so-called Chequers plan “deranged”. In his latest broadside against her Brexit strategy, the former foreign secretary suggested he might be able to strike a better deal than her with Brussels. What is a ‘Canada-style’ trade deal? 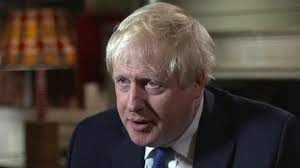 Mr Johnson also set out domestic policy ideas, including building a bridge between Britain and Ireland and putting the HS2 scheme on hold to focus on a rail link in northern England. Mrs May, who campaigned for Remain in the 2016 EU referendum, hit back at Mr Johnson in her Andrew Marr interview. She said: “I do believe in Brexit. Crucially, I believe in delivering Brexit in a way that respects the vote and delivers on the vote of the British people while also protecting our union, protecting jobs and ensuring we make a success of Brexit for the future. The Labour Party has said it will back Mrs May in Parliament if she agrees to their plan for a customs union with the EU and a Brexit deal that guarantees workers’ rights and protects jobs. Mrs May said: “My message to the Labour Party is that they should stop playing politics with Brexit and start acting in the national interest. EU leaders have rejected her Chequers plan because they believe it would undermine the single market by allowing the UK to “cherry pick” bits of EU law it liked. But she rejected the idea that the Chequers plan would undermine the EU single market. “We think we are putting forward a proposal that will maintain the integrity of the single market,” she said. Mrs May said her plan for the UK and EU to share a “common rulebook” for goods, but not services, was the only credible way to avoid a hard border between Northern Ireland and the Irish Republic. The strategy has been fiercely criticised by Conservative Brexiteers, who say it would compromise the UK’s sovereignty and betray the 2016 referendum vote. And writing in the Sunday Telegraph, ex-attorney general Dominic Grieve warned the PM she faced a “polite rebellion” by pro-EU MPs, with a “significant” number prepared to back another referendum if a deal could not be reached. Just like the Labour conference last week, the Conservatives are keen to show us they have plenty of songs on their playlist. But just like the Labour conference last week, one record is louder than all the others and seems jammed on repeat: Brexit. Autumn guarantees two things: leaves falling off trees and Conservative conferences in which there is a series of deftly choreographed Johnsonian interventions, before and during the main event. Forty-eight hours on from his 4,000 or so words for the Daily Telegraph, one word from Mr Johnson is sufficient to grab a headline or two today: “deranged”. The big question of the next few days, beyond the Brexit noise: does the PM offer any indication, however vague, of the possibility of her shifting on her much criticised Brexit plan? She said people and businesses who did not pay tax in Britain would face a higher stamp duty levy of up to 3% when they bought property in the UK – to stop them driving up house prices. The money would be used to combat rough sleeping. 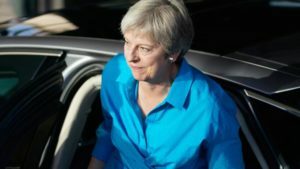 She also revealed plans for a Festival of Great Britain and Northern Ireland to showcase the nation in January 2022 – months before the next scheduled general election. And Health Secretary Matt Hancock said health officials would produce guidelines on the amount of time young people should spend on social media. The UK is due to leave the EU on 29 March 2019, and negotiations on the terms of exit and future co-operation are continuing. Meanwhile, the Conservative Party has apologised after a technical issue with its conference app meant Tory MPs had their phone numbers and other personal data revealed. 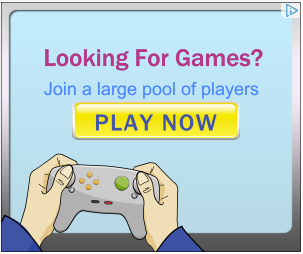 The issue has since been resolved, the party said.